Hey Y'all! It's been a busy week here with Mr. Relish traveling and my MIL visiting. I do have a finish to share today that took most of last week to make. Towards the end of this one I was swearing quite a bit, but it's finished and I'm proud! Little story first: As you know, it's almost time for back to school and while some of you out there are in tears over it, there are some of us utterly ecstatic (<---that's me)! BOTH my girls will be starting pre-school at the end of August for 3 days a week! Happy dance!! My almost 3-year-old loves her school and teachers and I couldn't ask for a better fit for my family. With that said, my baby, little relish, will also be starting and she is sooooo ready to be with her big sister! Just to give you an idea, this is typically how our mornings and afternoons go when picking up or dropping of big sister. First, she has to carry sisters nap mat inside the building, then she makes sure she first stops at the front desk to give the director, Ms. Pam, a hug or plop down in Mrs. Connie's lap to "help". Next, she then struts (no really, the girl is strutting) her stuff down the hall screaming her happy scream to let everyone know she is in the building. Next stop is at Ms. Alma's class (Big relish's old teacher and her soon to be new teacher) to give her a "what's up" or hug. It really just depends on her mood. Lastly, we go to drop or pick up her sister and little relish forces her way inside the class room and begins to participate in whatever activity all the others are doing. Just like she is suppose to be there and what is the big deal. I have pretended to leave her several times and she never even looks my way or bats an eyelash. It usually ends with me dragging her out of the school. When deciding how many days a week she was ready for, I first thought 1 maybe 2. But now I see there is no way in heck that she would drop sister off and then go home with me. So 3 days a week just like big sister it is and this mommy is ecstatic! 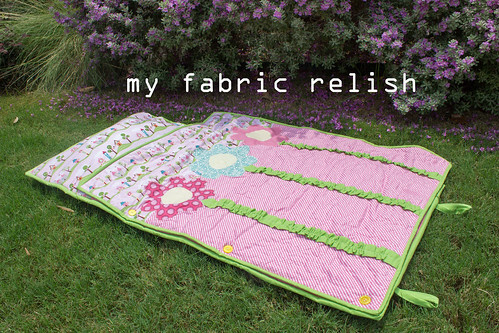 So back to why Im posting...I finished little relish's first nap map! I got the pattern from the same book I got the Owl Pillow called Art to Heart Curious Mischief. 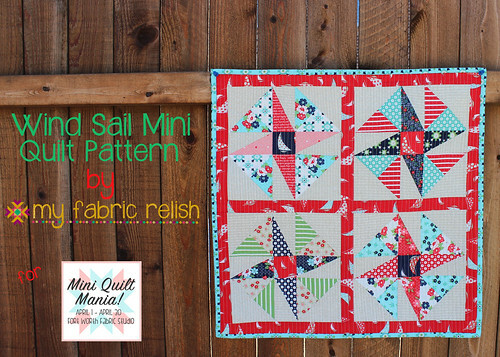 There are several quilt and pillow patterns in this book and it is every bit worth the price. 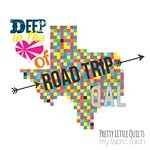 I found mine at my LQS but you can also find it on Amazon. 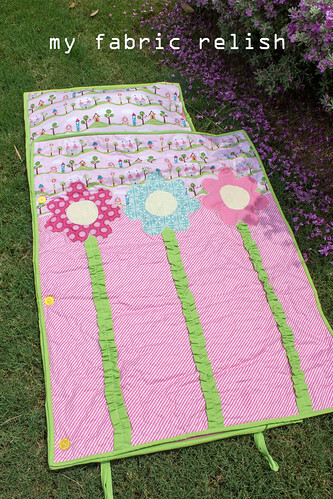 The nap mat pattern alone is worth the price, but there is also some adorable tooth fairy pillows. There are plenty of boy and girl patterns throughout the book. The quilted blanket it attached with three large buttons. The book has you attach it within the binding, but I want the blanket to be separate so that way it is usable once they are no longer using the nap mats. I also quilted with minky and it went way smoother than I thought. 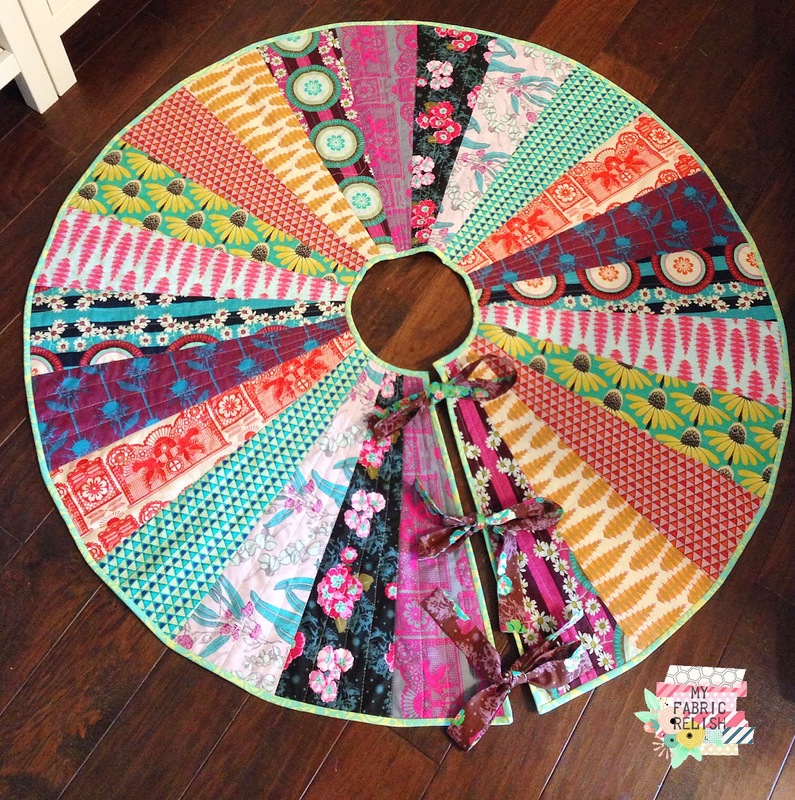 I found this tutorial useful from Cluck Cluck Sew before starting. I did my pillow insert on the inside and not the out side and used Velcro to secure it closed and made a small pillow insert to take in and out for washing. The batting I used was a very thick 1" x 27 " batting that is sold by the yard at JoAnns. I had them cut 1 1/2 yards. USE A WALKING FOOT! That was a mother to sew through. I had to get Mr. Relish to hold the sewing machine down so it didn't shift and then help hold the bulk from the back. I cut my binding at 4" to make sure there was plenty to go around the bulk. It rolls so nicely and the buttons are my favorite. I used webbing for the handle and added it to the other side but forgot to take a picture. 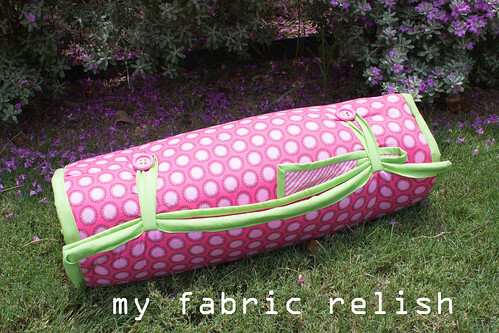 Fabrics are from Happily Ever After by Riley Blake and then the polka-dot is Amy Butler (I think). Along with all my other bee's and quilt/sew-a-longs, I am also planning on some adorable new school clothes for the girls. I just bought some new patterns and cant wait to get started! 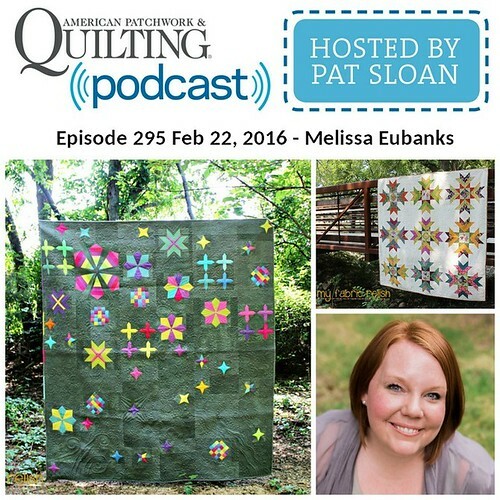 I am also skipping this week's Zakka 2.0, but plan on making next weeks flower quilt. Wow Melissa that is soooo cute! Beautiful finish! My daughter would love it! Thanks! 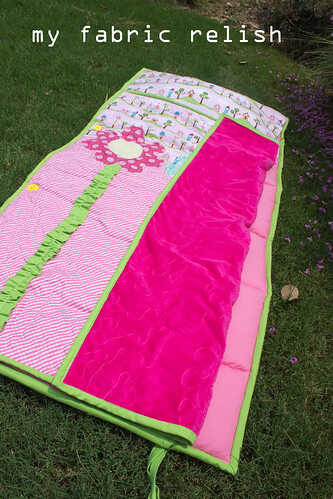 I hope my little girl takes lots of good naps in it. Thanks for taking the time to leave a comment! That is an adorable nap mat. I love the built in pillow, and the way it rolls up. I bet your daughter is going to love it. Awww, thank you! I love that the pillow form comes out for the wash. Thanks for stopping by and taking time to leave a comment! So cute rolled or unrolled. Any girl would love this. Thanks for all the how to info. Thank you! 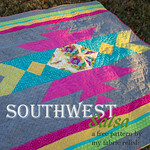 I am so glad I found the pattern book at my quilt shop. I had actually borrowed a nap mat to take measurements and make it from scratch but found the pattern and took all the guess work out. Yay! 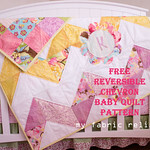 thanks and happy to join in on your linky parties...thanks for having me! That's so pretty and cheerful, I'd be happy to take a nap on that! Lovely idea. Really great and helpful post for children.Thanks Melissa for share.